Restore plc (‘Restore’), the UK office services provider and owner of ITP, will receive a 40% stake in the enlarged business and will be represented on Ink & Toner’s board. Ink & Toner’s purchase of ITP highlights their intent to provide recycling services of the very highest standard, strengthening their expertise and reach to ensure their printer cartridge collection, disposal & recycling services are dependable, compliant and environmentally friendly. The two companies share similar values in their commitment to providing quality, sustainable services. 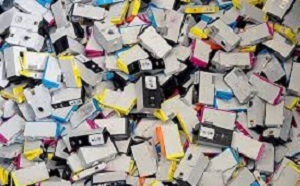 Like Ink & Toner, ITP operate a zero to landfill policy, always making sure that the cartridges which pass through their facility are either reintroduced to market, or recycled to the highest possible standard. Companies today are becoming more aware of the need to recycle these kind of products, especially given that some of these discarded cartridges could take up to 1000 years to decompose, when they could instead be reused multiple times. Cartridge recycling services help ease the strain on our natural resources, and given that each recycled cartridge means one less needs to be produced, recycling them reduces carbon emissions that would otherwise be created during their production. Both companies are excited with the direction the merger will take them and are looking forward to working together to provide a trustworthy and convenient route into cartridge recycling. Nigel Dews, Divisional MD of Restore, said: “The combination of ITP and Ink & Toner creates an enlarged business that is better placed to grow and deliver increased value for Restore”. Terri Anne Smedley, Managing Director of Ink & Toner, commented: “We are absolutely thrilled to have been able to do this deal. ITP’s excellent reputation combined with our experience and talented team will provide a superb platform to take the business to a completely different level.